Integration with key build environments and IDEs provides seamless testing for cloud application security vulnerabilities and fast targeted remediation for your critical cloud apps. IBM Application Security on Cloud integrates multiple forms of testing (SAST, DAST, mobile and open source) to provide the broadest coverage. IBM's world-renowned cognitive capabilities enable IBM Application Security on Cloud to deliver deeper and faster scan coverage of cloud applications and eliminate false positives. This provides more current and broader coverage, while creating faster turn-around times that support your DevOps processes. Cloud application security is not only about performing tests and finding vulnerabilities, it’s about managing risk. IBM Application Security on Cloud enables you to view your applications from business and technical perspectives, allowing you to prioritize your scarce resources to address your most pressing needs. 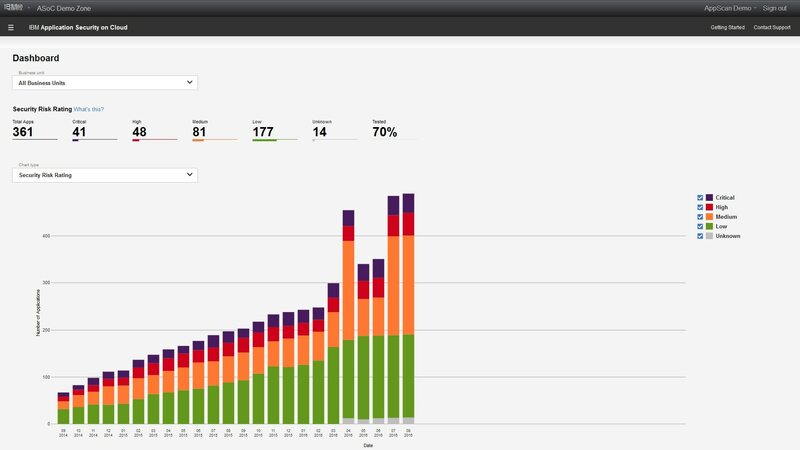 IBM Application Security Open Source Analyzer helps to secure and manage your open source components, by automating security testing and configuring scanning for open source. It enables you to gain control and visibility over your open source vulnerability scans, by continuously identifying vulnerable open source components in your software. 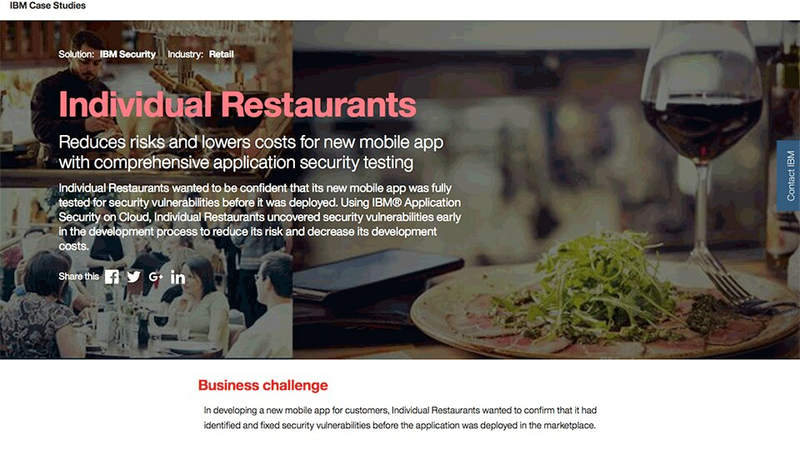 Learn how our client reduces risk and costs for their mobile app with IBM Security.